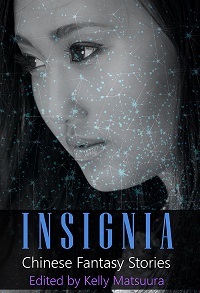 Just want to share some news about one of our earlier anthologies, INSIGNIA VOL.2. It has always been one of the shorter collections, with the fewest contributors; in fact the first edition had only 3 contributors and 5 stories… I later added a 6th story (by David Jon Fuller), however 3 of the 6 stories were still all written by yours truly (Kelly Matsuura). And so, I’ve decided to remove one of my stories and replace it with a new one. I’d like to thank INSIGNIA VOL.5. contributor L. Chan for his intriguing wuxia-inspired story, ‘Petals, Falling Like Memories’. I think it’s a great addition to the anthology, and it’s awesome to have another Singaporean writer along side our champion contributor, Joyce Chng! If you have previously bought a copy of this anthology on Amazon or Smashwords, you should be able to download the revised edition. 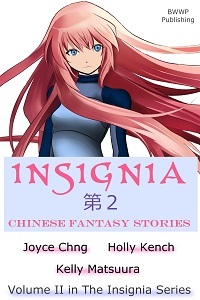 For new readers, Insignia: Chinese Fantasy Stories will be 50% OFF until Feb 10!